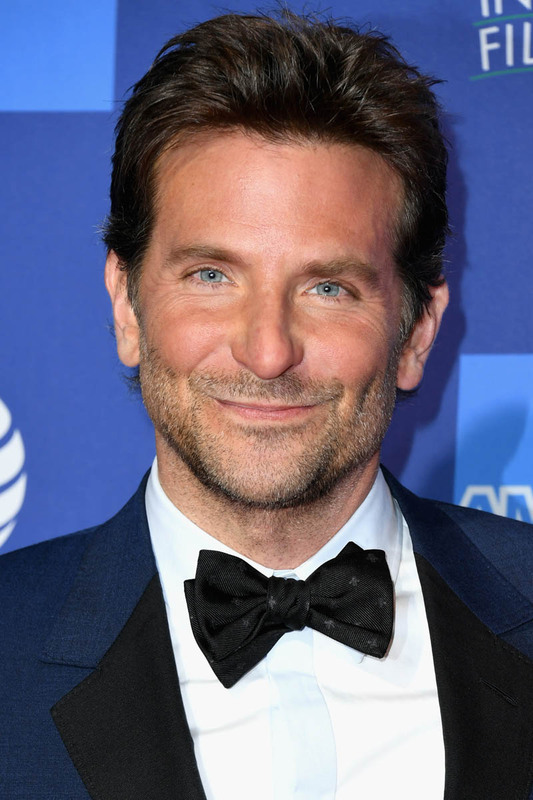 It’s Bradley Cooper’s birthday weekend. His birthday is tomorrow. The Golden Globes are on Sunday. Will the Hollywood Foreign Press Association give him a birthday present? Several birthday presents? 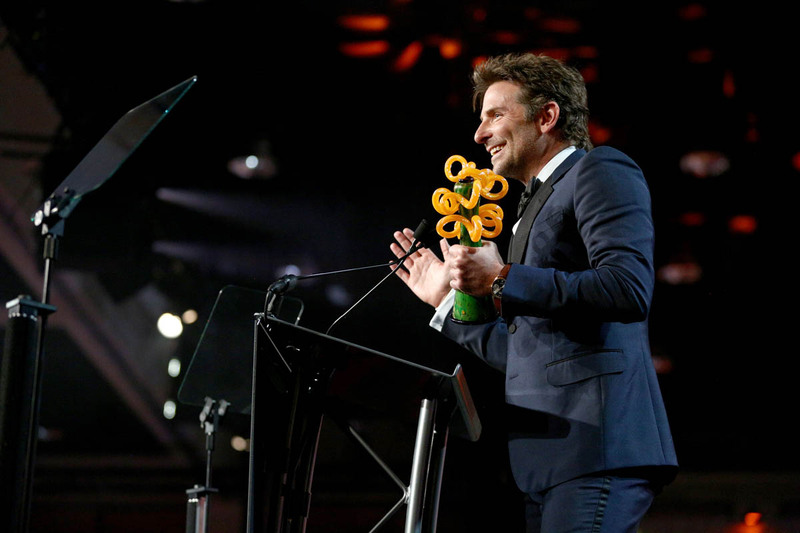 His first birthday present, an early one, came from the Palm Springs International Film Festival last night, in the form of the Director of the Year award. As you know, it’s a given at this point that Coop will be nominated for his first directing Oscar for directing his first film. As you know, the strategy so far has been to focus his campaign efforts behind the scenes, holding him back from carpets until the major award shows and galas really pick up. So the time is now. Is he ready? To me he seems nervous and is definitely emotional. Let’s start with the emotion. 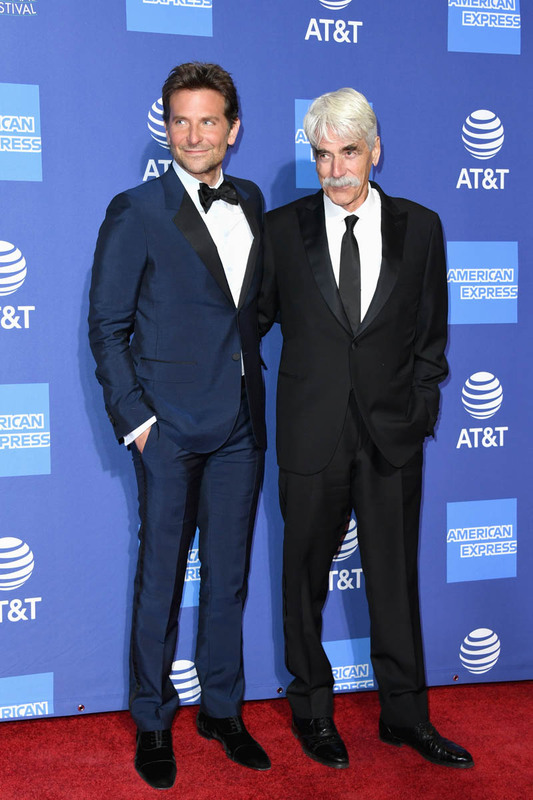 Sam Elliott was there to present to Bradley last night and when Bradley finally got up to speak, he was choked up about the experience of working with Sam and having an artist like Sam trust him during the process. 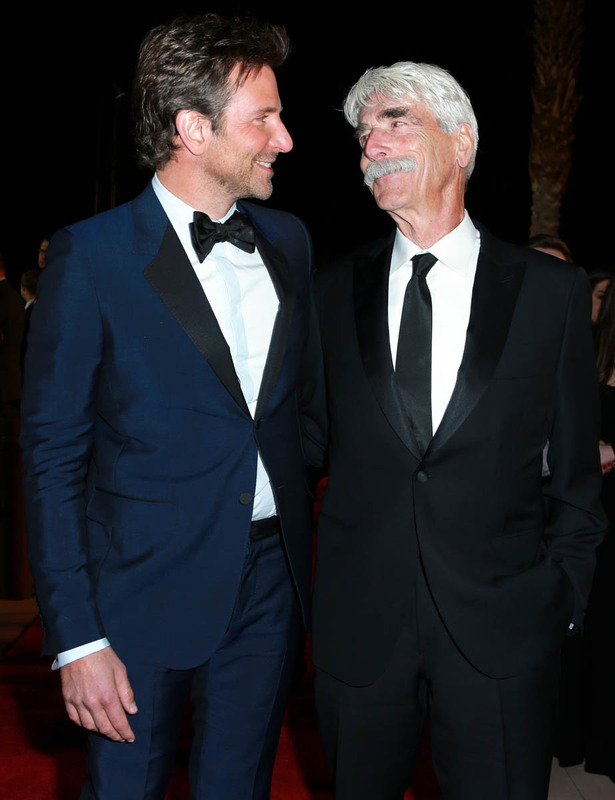 Needless to say, as we’ve heard over and over again the last few months, Coop put everything into A Star is Born. Of course he’s raw from the effort. Right now though, I wonder too if it’s also nerves. An Oscar campaign is a f-cking slog. And, LOL, it’s not like he doesn’t want it. But there’s also the added pressure of being the frontrunner and knowing you’re the frontrunner. At this point, undeniably, A Star is Born is in the lead. Everyone is chasing Coop’s movie for the Oscar. As they say in sports, oftentimes maintaining a lead is harder than getting one. We’ve seen it happen all the time. Teams or players tighten up with a lead, they start playing defensively, or on their heels, backing up instead of attacking, and all of a sudden it’s a tie game. 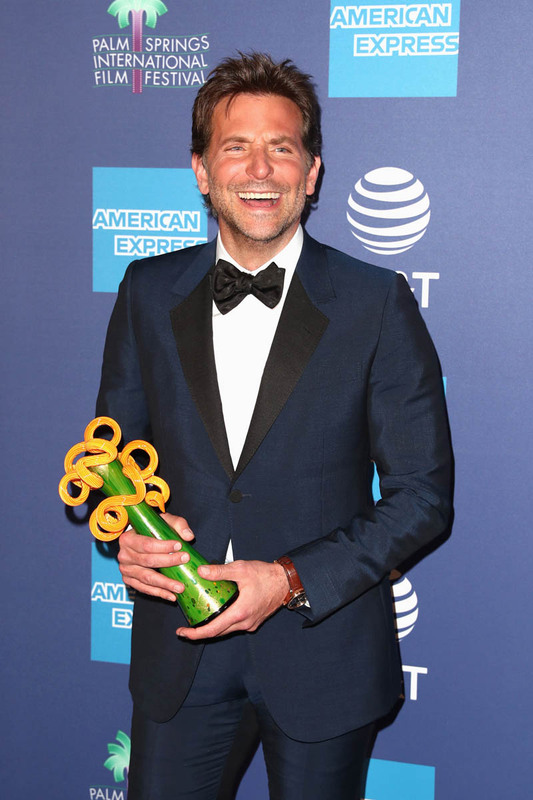 I am so curious to see how Bradley is going to handle the next few weeks…starting at the Globes on Sunday, where he and Lady Gaga are opening the show as the first two presenters. It’s a smart producers’ move to hook the audience. 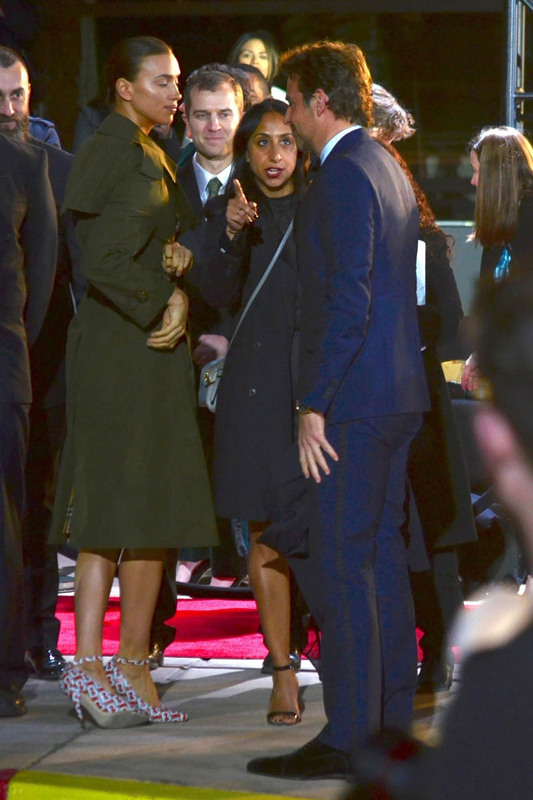 It’s advantageous to the ASIB campaign too to be seen out there early and, hopefully for them, often, throughout the night, as the Hollywood Foreign Press Association will likely honour ASIB several times, just in time for Oscar nomination voting to begin the next day. 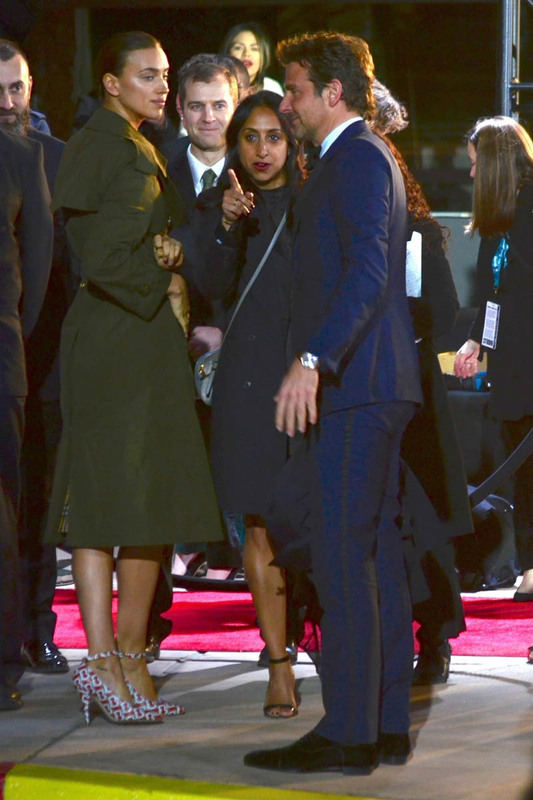 So…will Bradley have a date? Irina Shayk was with him last night in Palm Springs and it’s her birthday on Sunday. 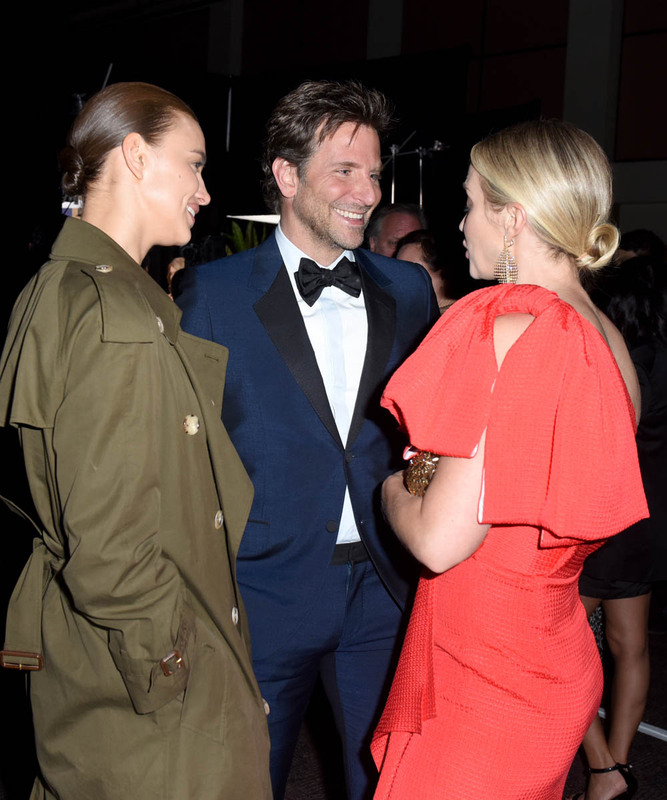 After that, I’m looking ahead to the Oscars – because, remember, he took Suki Waterhouse to the Oscars when they were together, and he hasn’t been nominated for one since he and Irina started dating. 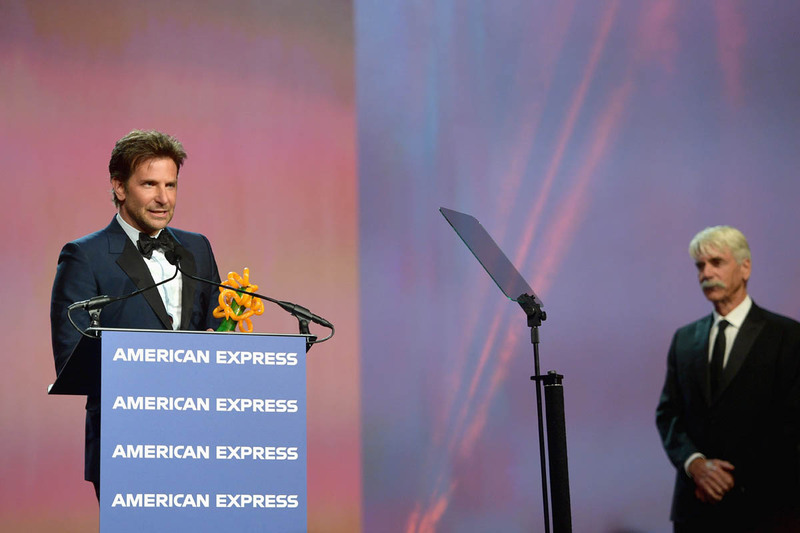 To watch Bradley’s remarks in Palm Springs last night, start at the 1 hour 53 minute mark here.